This time of year brings around so many vivid memories, this being one. On March 9, 2009, a long agonizing night began for me and Rick Sikes. He had been in and out of the hospital since January 2009 and we were back again for more IV antibiotics to try and fight the infection slowly eating away the flesh on his right leg. With daily hyperbaric treatments on top of the strongest blend of antibiotics available and morphine for pain, recovery remained elusive. And then the unthinkable happened. I knew something wasn’t right as Rick struggled to breathe and his fever rose. But, the nurses assured me that he was not in distress. When the Pulmonary Therapist made his daily rounds the next morning, he immediately recognized the signs and went into action. Rick had developed pneumonia. Within less than an hour, a ventilator was in place, all pain meds stopped and the vigil continued. When the wound care team came to change the dressing on his leg, my heart broke at the tormented cries that escaped from his throat. It took every ounce of strength I had to stay calm and try to comfort him. I thought we’d reached the end. And, during the wee hours of the morning, after another sleepless night, I wrote this poem, never imagining I would have a chance to read it to him. I did get to read it to him several days later, as he survived pneumonia. We both cried. Then on May 1st, he hung up his sword and left this earth. April is National Poetry Month. In celebration, I have discounted the eBook version of Discovery – Poetry and Art by Rick and Jan Sikes. I’d be honored if you’d pick up a copy, read and review it!! 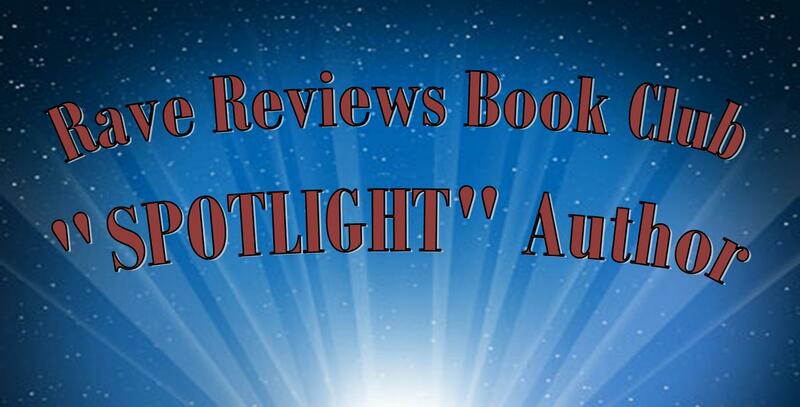 #RRBC Springtime Book and Blog Block Party! 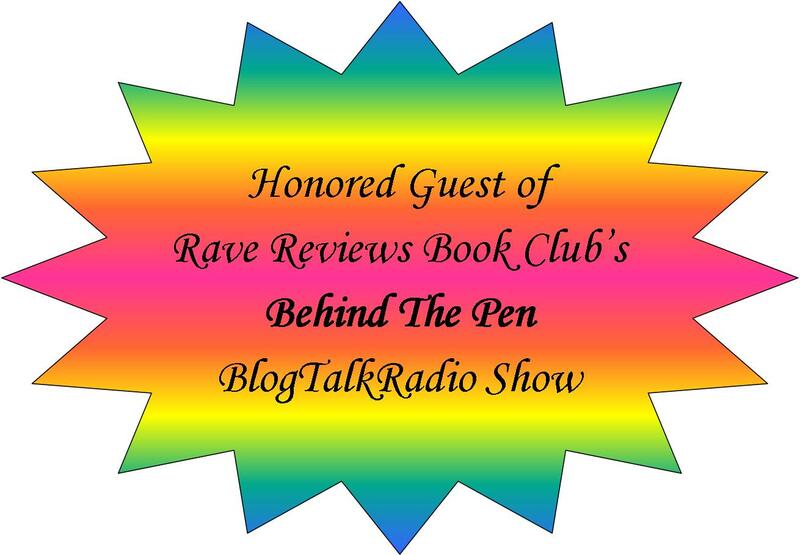 Welcome to the RAVE REVIEWS BOOK CLUB Springtime Book & Block Party! For a Chance to win, please leave a comment on this post. And, I’d be thrilled if you’d share it on Social Media. I cannot tell you how excited I am to bring to you the Poetry and Art book, Discovery, in eBook format! First and foremost, I want to thank Jan Hawke for her hard work formatting the artwork and poems to convert to eBook. She did a phenomenal job. The clickable links in the Table of Contents take you directly to a specific poem or piece of artwork. This book is unique first of all because it was compiled by Rick Sikes during the fifteen years he was incarcerated in Leavenworth Prison. Secondly, the artwork that accompanies the poetry is what he called pen-and-ink drawings, which I have learned is technically called Pointillism – Artwork made up of millions of tiny dots. A few bitter years into his imprisonment, Rick Sikes reached a pivotal turning point. He made the decision to be, think, and act only in a positive manner. This poetry and art project was partially his means of doing just that. What you’ll find between the covers of this book are expressions of raw emotion…Poems of deep sadness and loss, humorous musings, political wisdom, life observations and tender love from Rick, while Jan lends her own deeply personal poems at the end of the book to round it out. This partial excerpt from the poem entitled “Discovery” is the first expression of that pivotal point in Rick’s life where he determined he was going to crawl up from the bottom and become a worthwhile human. I hope you’ll take a peek at the Trailer for Discovery. Click HERE! I hope I’ve piqued your interest and that you’ll check out this new eBook version of Discovery! Order the eBook Discovery HERE! It’s that time of year when book awards are announced and I am thrilled beyond words that TWO of my books have received FIRST PLACE awards from the TEXAS ASSOCIATION OF AUTHORS! ‘TIL DEATH DO US PART received a First Place Award in the Biography Fiction Category. ‘Til Death Do Us Part is the fourth and final book in my series of true stories about a Texas musician who was a pioneer in the outlaw music movement long before it had a name. Blurb: Veteran Texas musician, Luke Stone, has cheated death more times then he cares to remember. He’s been everything from a simple farm boy to a rowdy roughneck, a singing star to a convict and finally a husband and father whose goals consisted of building a home and raising a family…which he did. Now, with a chance for a second music career, he knows the sand in his hourglass is running thin. His anchor in life and true love, Darlina, stands at his side determined to help make the dream a reality. But, his aging body is sabotaging every effort and the only thing that keeps him going is sheer will power and the love he has for Darlina. DISCOVERY – POETRY AND ART BY RICK AND JAN SIKES received a FIRST PLACE award in the POETRY AND ART cagetory. I am SO proud of this award. When I decided to publish this book, people told me, “Poetry doesn’t sell.” But, I didn’t publish it to sell thousands of copies (although, of course I’d be thrilled about that). I published it because it is such an incredibly beautiful expression of a man’s heart and soul not only through words, but through art. And, I believe there are others struggling who can find encouragement and hope within the pages of this book. When Rick Sikes found himself inside the walls of Leavenworth prison, with a long sentence ahead, he had some decisions to make. It took several years, but he finally made up his mind to think and act positive in a negative situation. He became determined to accomplish something worthwhile even though imprisoned. And, this book is just one of the things he completed. The artwork is what he called Pen and Ink drawings, but the technical description is Pointillism. Thousands of tiny dots made with a simple ink pen are what make up the art. Hop on over to Linda Broday’s blog post today for an indepth look at the Poetry and Art Book, DISCOVERY! Leave a comment for a chance to win a Hardcover copy. Folks, that’s a $24.95 value, so Linda is being very generous today. #RRBC Holiday Train “Book Trailer” Block Party!! It’s a PARTY and you’re invited!! Hi and WELCOME to the Rave Reviews Book Club Holiday Train “Book Trailer” Block Party at Writing and Music located in McKinney, Texas. FOR A CHANCE TO WIN, YOU MUST VISIT THE BOOK TRAILER VIA THE YOUTUBE LINK BELOW AND LEAVE A COMMENT. YOUR NAME WILL THEN BE ENTERED INTO A DRAWING FOR THESE COOL PRIZES! I am thrilled to introduce to you a brand new book trailer video for DISCOVERY! When all of life is stripped away, left with no freedom except in his mind, one man journeys deep inside to discover his true self. He finds the only way to survive hopeless negativity is through creating with his hands and imagination. They confined his body in an iron cage, but could not lock away his mind. 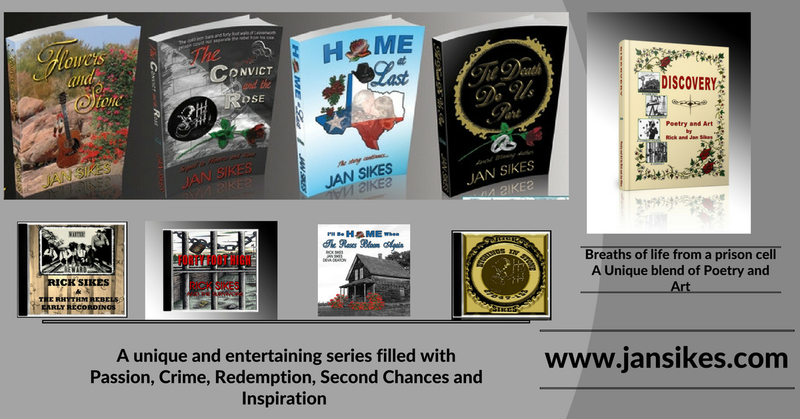 Rick Sikes poured pieces of his heart and soul into these writings and drawings. His hope was that this wisdom and insight will help others in their journey. I hope you’ll find the trailer interesting enough to check out this unique book of poetry and pen-and-ink art. It’s not just a poetry book! 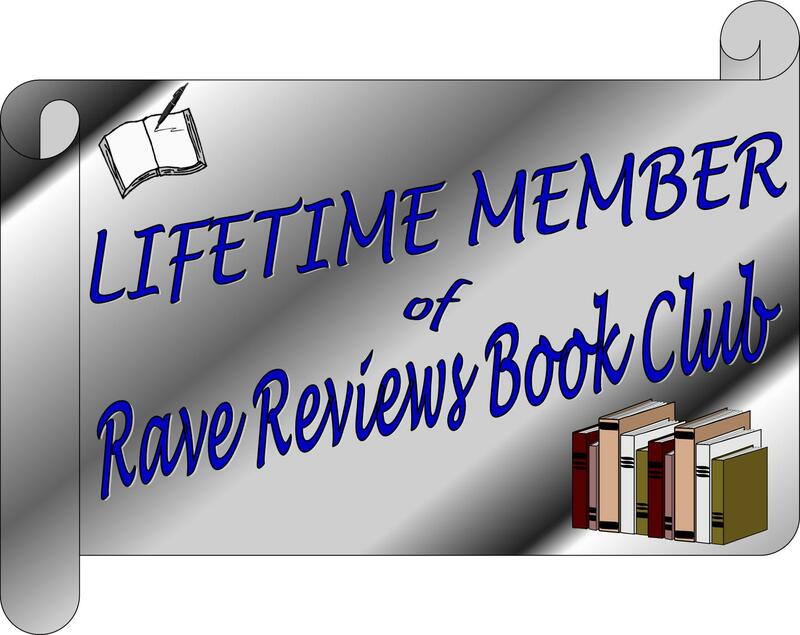 I am a proud member of the RAVE REVIEWS BOOK CLUB, a community of authors and readers who support, promote and uplift each other! Does this sound like a place you’d like to belong? Check it out and if you join, tell ’em Jan Sikes sent you.